The resort consists of an 18-hole golf course called “Mnich” and the 9-hole “Nová Bystřice” public course, a genuine golf academy that slightly more advanced golfers will also enjoy. 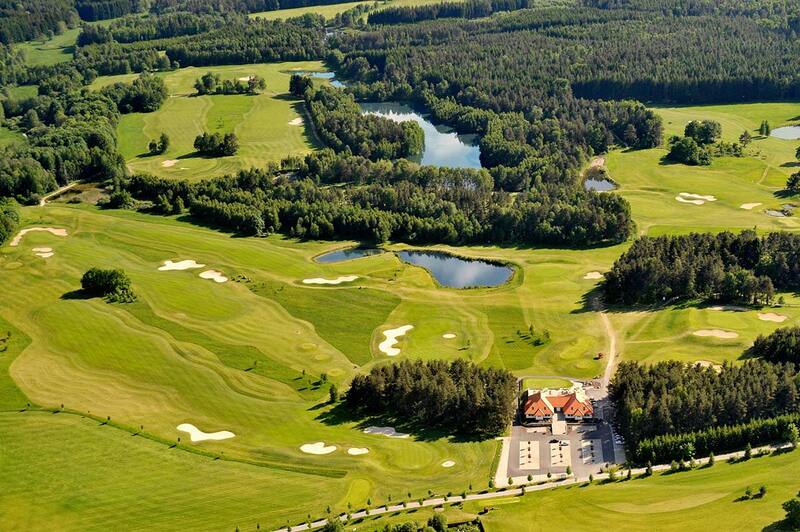 Designed by Austrian architects Günther and Gerold Hauser, the “Mnich” championship course is one of the most popular in the Czech Republic. It is perfectly adapted to fit the landscape, which seems to have been created for golf. It is the countryside that gives this place its unforgettable atmosphere. The course is divided into several separate sections offering numerous impressive view-throughs, and gives players a true golfing and outdoor experience.